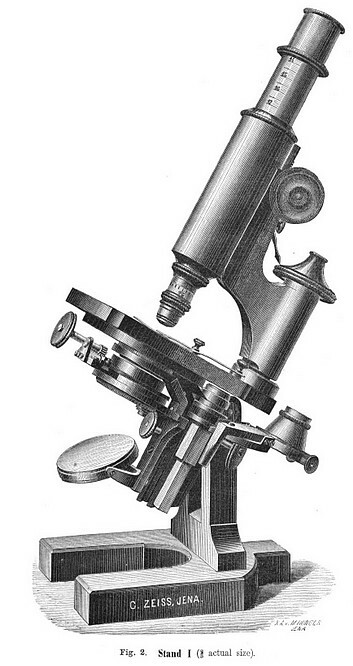 Stand I - Large stand with heavy horse-sho foot, inclinable ;the body and stage revolving round the optic axis. 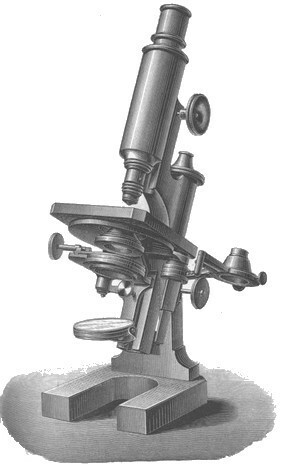 Coarse adjustment by rack and pinion; micrometer screw with divided head; draw-tube with millimeter divisions. 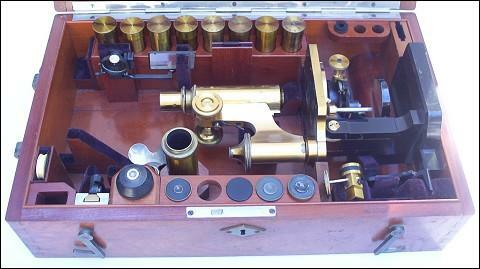 Abbe's Illuminating Apparatus No. 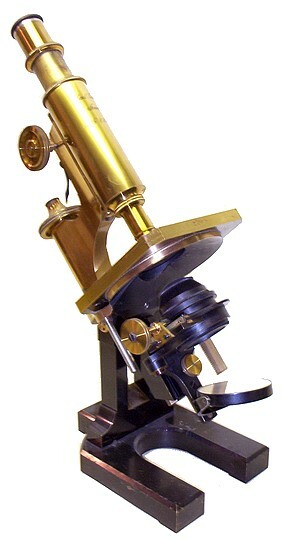 80 with condenser of 1.20 numerical aperture. Also, for use with the ordinary mirror, a substage (Fig. 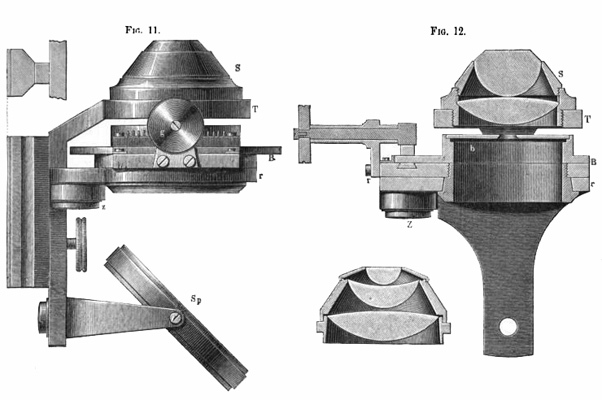 1) to replace the Abbe Illuminator, turning on an arm under the stage, with rack and pinion motion and centering adjustments for receiving cylinder diaphragms and other apparatus. 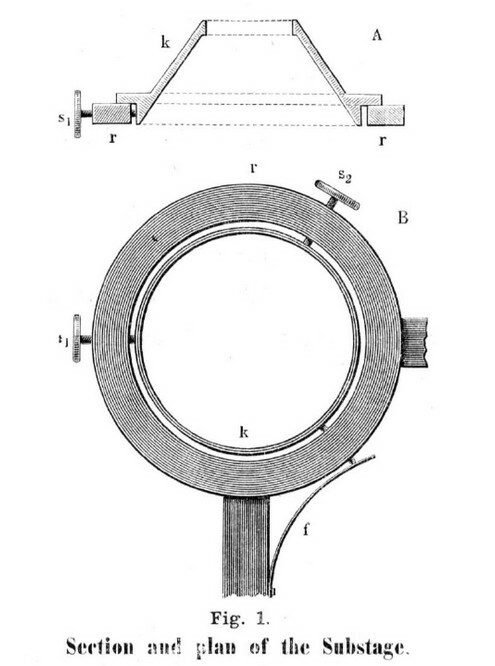 If a second Condenser of 1.40 N. aperture be desired for the Abbe Illuminator (No. 81) 25 Mk. must be1 added. 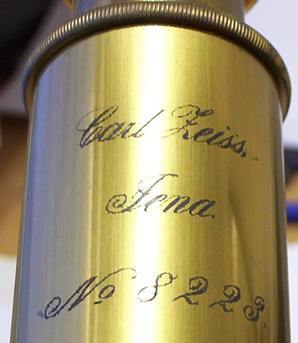 If objectives adjusted to the English 10 inch body are to be used on this stand, a lengthening piece (100 Mm.) can be supplied If desired to screw into the body under the draw-tube.